Who will qualify for the Olympics? Find out LIVE and FREE on http://ettu.laola1.tv from 11.04. – 15.04.2012. The Olympics are now just months away and the moment of truth is edging ever closer for table tennis players across Europe. Will they be sweating it out on a table tennis table in Britain, or will they be watching on as a spectator from a far? The European Olympic Qualification tournament in Luxembourg LIVE and FREE on ETTU TV powered by LAOLA1.tv will give us the answer to that question as the continent’s players battle it out for a chance to face the world’s best in the summer. Fans across Europe and the world can enjoy another great ETTU event on the Internet! 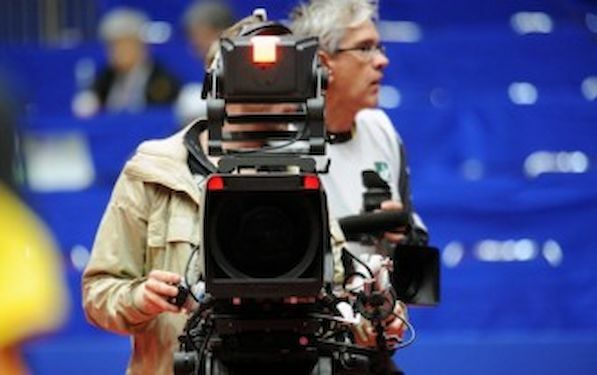 ETTU TV powered by LAOLA1.tv will be covering all five days of the action in Luxembourg, broadcasting LIVE from the very first serve to the last on table one. Table tennis lovers will also have the chance to catch up with the best action from both table one AND table two On DEMAND after the matches. There are plenty of big names still vying for a place at the Olympics this summer and with the likes of Robert GARDOS, Marcos FREITAS and Kiril SKACHKOV in the men’s tournament and Irene IVANCAN, Petra LOVAS and Bernadette SZOCS in the women’s it will not be easy for anyone. Other major events scheduled on ETTU TV powered by LAOLA1.tv this year include the finals of the men’s and women’s Champions League in May, the European Youth Championships in July as well as the European Championships in October and many many more.